Flattery and charm are the two weapons used by narcissists and sociopaths to trap their targets. Initially (sometimes for a long period), unsuspecting victims cannot figure out the ulterior motives behind the idealization. Heaped with praises, one feels top of the world and special, but this is as much injurious as is mental and physical abuse. They ensnare their victim with such sugar coated behavior that it’s impossible for an innocent person to escape their debauchery. 1) Idealization is the best bait to entrap someone. The effect is quick, as attention and adoration are not easy to come by. Psychopaths make it so real that the victim rebounds with all the love he or she is capable of, and very fast. There is no way to interpret the passionate love displayed as anything vicious. One starts to think they have ultimately met the perfect soul mate and hey can’t stop expressing these feelings with equal passion they are made to believe existing in the relationship. 2) Soaked in happiness, the victim can’t stop discussing their excitement about the relationship with their friends and relatives. This constant flattery helps the psychopath seek complete attention and trust. Mutual idealization continues on the social platform and with all the likes and comments, even a relationship based on complete falsehood seems to be true. The victim feels proud and lucky. 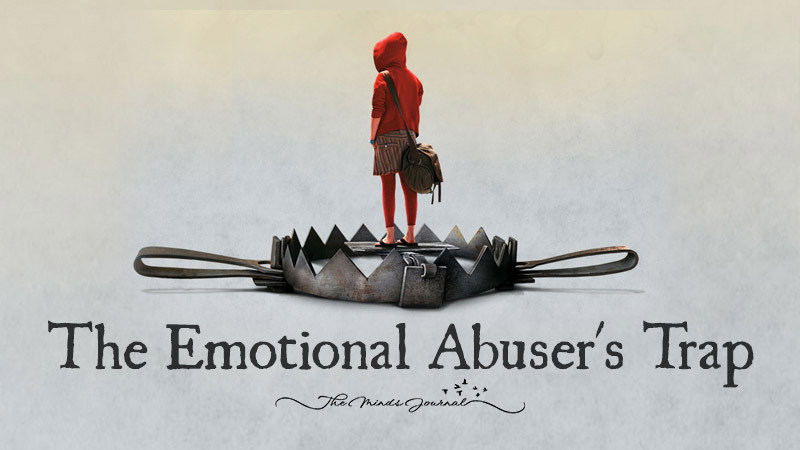 3) The emotional abuser gradually begins to withdraw. Initially it’s difficult to figure out anything clearly, but you can feel something has changed. Communication is reduced and so is their interest. One feels like as if they are a burden. They gradually make themselves scarce and never show up on time for ay meeting. However, it’s never easy for the victim to understand the lack of communication and interest is preplanned and deliberate. They continue to idealize who they think is their soul mate and start making efforts to make things work. So, they want to overlook everything and be forwarding and adaptive. 4) Even when everything is falling apart, the victim cannot bring themselves to accept the faults of their so called lover. They keep speaking highly of their tormentor. They continue to be under the impression that their love and warmth will set things right. While the victim tries to induce positive energy and more love into the relationship, the psychopath becomes more cruel and abusive. But, the state of the mind of victim is such that they cannot say a word against their abuser. 5) And this lets the psychopath become even worse. For everything they blame the victim and punish them with their piercing criticism and maddening silence. The psychopath calls the victim crazy and hypersensitive and finally abandons them. All the crying and pleading doesn’t work. The victim cannot accept to anyone that their dream has shattered because to everyone their relationship is perfect, the ideal one. This person means the world to them, they are lost and accepting the reality is too much for them. 6) Left bitter and sore with the abandonment, people try to find out what went wrong. Why they were punished for loving? And when they do a bit of research on the net they come to know about psychopaths. As they learn more and more, they realize they had been victimized by a psychopath, an emotional abuser. Little by little they are able to trace the similarity with all the treatment they have been meted out. Grief gets transformed into anger as questions find their answers. Their truth changes forever and they can no longer see the world as before. Been there done that, I promised myself that there is no way I will ever get into a “relationship” like this ever again. That’s way, it is said ‘Appearance is a deception.’ Narcissists and Psychopaths appear normal and not harmful. A complete example of perfection. Paul Ray is right! ‘Wolf in the sheep clothing.’ It isn’t about new and old people, It is all about how and when we realize and they reveal their true colors. WOLF IN SHEEPS CLOTHING..SIZING UP THE PREY..ALWAYS BECAREFUL OF NEW PEOPLE..I WORKED AT THE 21 CLUB AND THIS IS WHAT THEY DID..THE NEXT THING YOU KNEW THEY WERE IN YOUR BUISNESS LIKE WHITE ON RICE. I HARDLY WENT OUT TO CLUBS BECAUSE I WOULD RUN INTO SOMEONE AND THEY WERE IN MY BUISNESS , CAUSING TROUBLE. THEY COMPLIMENTED MY PARENTS HOUSE AND THEN CAME OUT AND WOKE UP THE NEIGHBORHOOD, SCREAMING, WERE DID I GET THE MONEY TO BUY THE HOUSE…I ACTUALLY WAS TIPED OFF RIGHT AWAY BECAUSE THE STAFF STARTED IN WITH ME..THEY SAID HELLO THEN THEY STARTED SEXUAL HARRASSING ME. There are many narcistic and psychopathic people amongst us….they all seem normal! Wait until you meet one then and you will have landed on a somewhat different planet! Corinne Alcala, I agree with you! Was involved with one for 5 years of my life……never again!! !